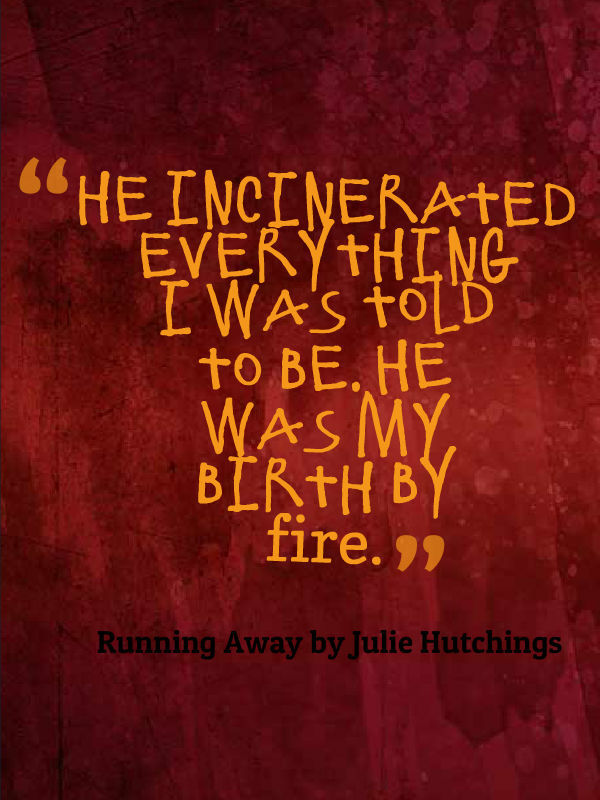 Happy Book Birthday to Julie Hutchings and RUNNING AWAY! Eliza Morgan is desperate to escape the horrors of her mortal life and understand why death follows her, leaving only one man, Nicholas French, in its wake. He’s the one she loves, the one she resents, and the one fated to make her legendary among the Shinigami– an ancient order of vampires with a “heroic” duty to kill. He’s also decaying before her eyes, and it’s her fault. On the ghostlike mountaintop in Japan that the vampires consider home, Eliza will be guided by the all-powerful Master for her transition to Shinigami death god. When Eliza discovers that sacrificing her destiny will save Nicholas, she’s not afraid to defy fate and make it so—even when Nicholas’s salvation kills her slowly with torturous, puzzle-piece visions that beg her to solve them. Both Nicholas and his beloved Master fight her on veering from the path to immortality, but Eliza won’t be talked out of her plan, even if it drives the wedge between Nicholas and her deeper. Allying with the fiery rebel, Kieran, who does what he wants and encourages her to do the same, and a mysterious deity that only she can see, Eliza must forge her own path through a maze of ancient traditions and rivalries, shameful secrets and dark betrayals to take back the choices denied her and the Shinigami who see her as their savior. To uncover the truth and save her loved ones, Eliza will stop at nothing, including war with fate itself. 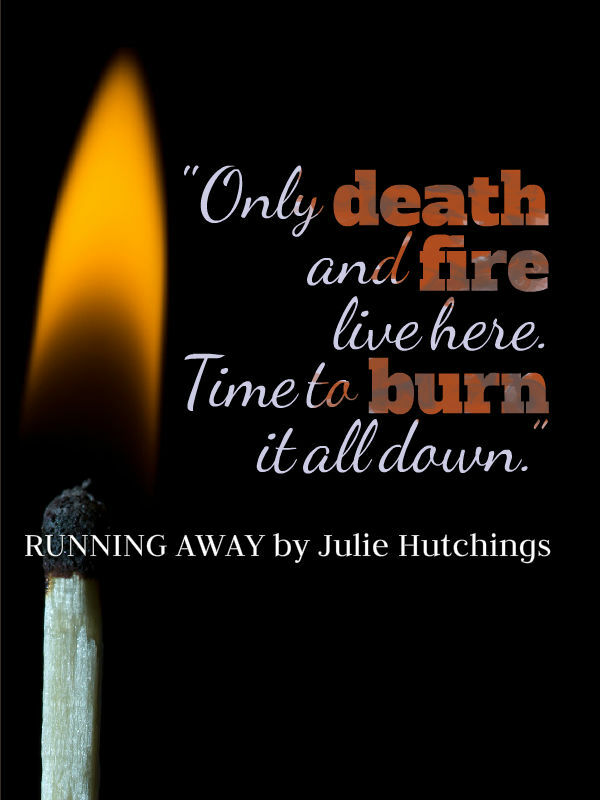 When I read Running Home, I couldn’t wait to find out what would come of such an explosive ending. 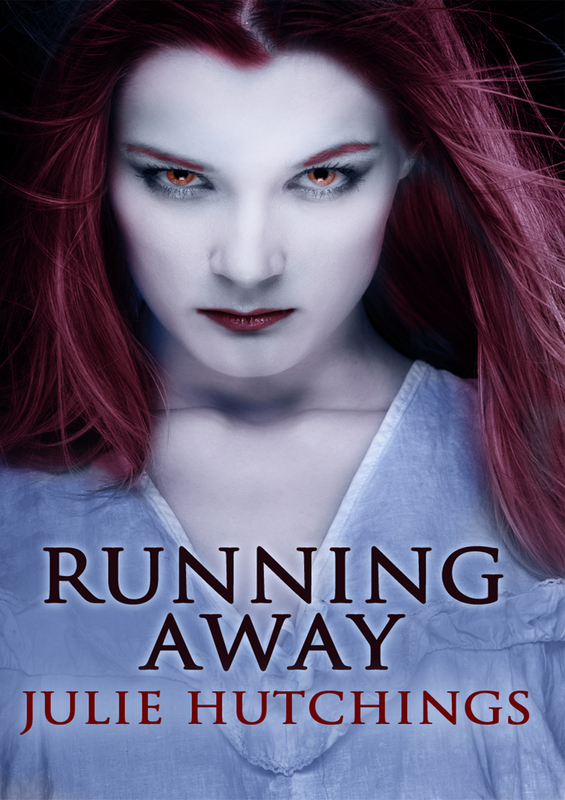 When I got my hands on Running Away, I was thrust back into the story immediately, immersed in the darkness that had descended upon Eliza. Hutchings is a gifted storyteller, with the ability to capture raw emotions and bring them to life on the page. What really impressed me about this book was the ending. I thought I knew what was going to happen. But then Hutchings took a right turn and I was shocked. While the ending is a cliffhanger of sorts, it didn’t leave me feeling cheated. There were decisions made, fates accepted, and the door was left open for a lot more story to tell. 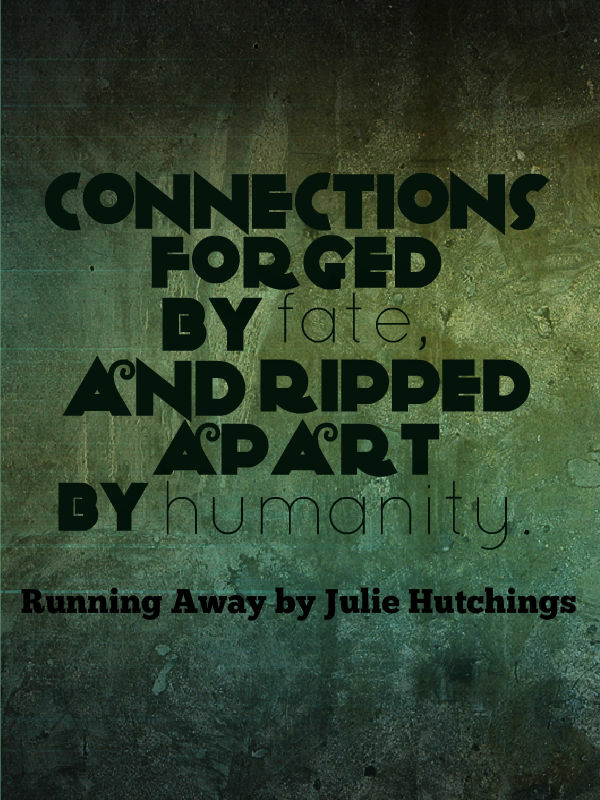 Julie’s debut novel, Running Home, giving you vampires with a Japanese mythology pants kicking is available through Books of the Dead Press. Julie revels in all things Buffy, has a sick need for exotic reptiles, and drinks more coffee than Juan Valdez and his donkey combined, if that donkey is allowed to drink coffee. 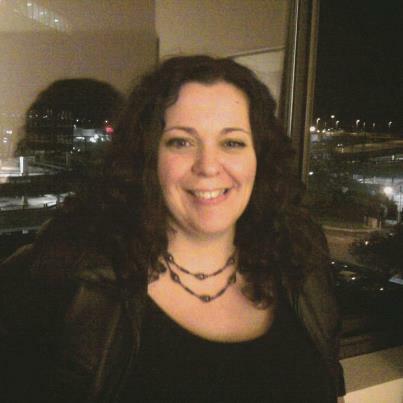 Julie’s a black belt with an almost inappropriate love for martial arts. And pizza. And Rob Zombie. Julie lives in Plymouth, MA, constantly awaiting thunderstorms with her wildly supportive husband and two magnificent boys. This entry was posted in Book Spotlight and Review and tagged author, author interview, beta readers, book review, critique, fiction, genre, inspiration, literature, mythology, writing. 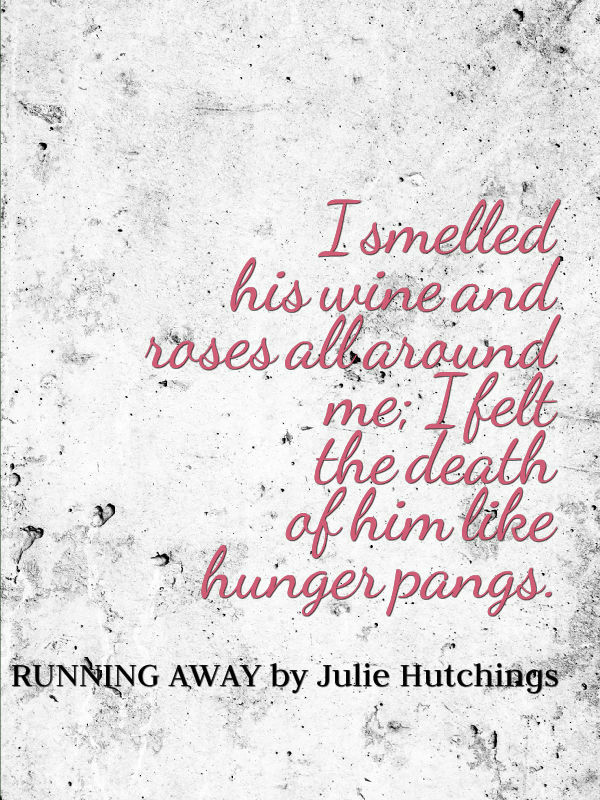 I’m so overwhelmed by the outpouring of support for the release of RUNNING AWAY today. Here’s one of my favorites. When I can think straight past the OVERWHELMINGJOYANDHURKTASTICEXCITEMENTFEELS I will do a post of my own to tell you how getting this sequel out felt. Thanks, all of you.